Three isolated Casterton Parish properties, Bullpot Farm, Gale Garth and Smithy House form part of our project. For logistical reasons they are connected into the wider B4RN network through Barbon. Project wound up and committee disbanded. Continuity assistance put in place. B4RN for Casterton AGM voted to wind up. Final house installations started or scheduled. Casterton Fell spur core complete. Casterton Fell spur core constructed from Aygill to Smithy House. Laitha Lane revisited and three more properties connected. June 30th. set as end date for new connection requests. Whelprigg spur issues to be resolved. Tidying up areas where build less than perfect. Rebuild at Bents Lane complete. Road crossings, A683 and North Heads Lane, complete. 29 properties installed and live. Major part of core network complete. Fibre blowing around High Casterton and north of village, more house connections. B4RN Service live to first houses. Fibre blown from Gowrey to the cabinet and through various spurs. Road crossings complete at Well Lane and Gate Heads Brow. Connection made to Barbon/Middleton network. Core ducting laid all the way to Dent Road End Railway Bridge. Section of network built behind Folly Farm and the Old Vicarage. Power connection to cabinet completed. More households take duct from their boundaries to properties. Road crossing negotiations to join network sections. Core ducts laid through difficult terrain at Paries House and on towards Casterton Hall. Network extended to individual property boundaries in High Casterton. Routes have been negotiated to the properties below the Pheasant. Moling has begun behind The Pheasant, down to High Lodge and Paries House. Core duct complete from Gowrey to cabinet. 800 metres of duct laid from Norwood Fields to Chapel House. 16mm and 7mm ducts extended through High Casterton. Network taken from Wandales Barn to Cuckoo Bridge. B4RN for Casterton formally incorporated. 16mm duct successfully traversed the old railway via a culvert and 7mm duct runs underway. Wandales Lane barn to Bee Nest and extensions to Fell Yeat, Fell Gate and Old Manor and down to High Casterton. Ducts to house the core cable and spurs off to Bindloss and High Casterton moled in from Gowrey Farm to Wandales Barn and up to Bindloss. 29/04/2016 - Landmark day, duct laid to Gowrey, the start of Casterton's network. Test drilling and moling, bringing the network in from Leck. Establishing Project Team, route planning, negotiating wayleaves, initial surveying. This is where the Project Team has kept you informed generally about the progress of B4RN For Casterton. At its meeting on February 12th. 2018 the committee formally closed the project and disbanded itself in accordance with a previous resolution of the B4RN for Casterton Group. Richard and Marjorie Murray and Chris. Benson will remain available to offer advice and assistance as B4RN Melling manage future developments. Now that the project has been wound up we'll post news snippets here, give you information about any up-and-coming events, and alert you to anything which might need further action. The rest of the website will be kept and added to for archive purposes. Our weekly email newsletter has also been discontinued, but if you stay subscribed you'll receive any important future notifications. A complete archive of all the newsletters sent out is available from the FAQS section. Thanks to all who invested and made this project possible. Our local support fund has been invaluable to help pay for all those things which aren't covered by the B4RN core network. Many thanks again for those who have contributed to that fund. Following the end of the project our bank account will be closed down. The small surplus left over from the final settlement of expenses will be passed on to the Firbank and Lowgill project to help with their network build. If you're unclear about how this project has been funded check out Funding Explained on our FAQS page. Following the closure of the project we no longer need to call on volunteers. Huge thanks to all those who helped us out. The following text is preserved to show how this page was originally constructed. We don't want to make unreasonable demands. On the basis of every little helps, we're happy for you to contribute when you can. We keep a list of those interested and send out an email when we need helpers saying what work is planned. Volunteers are welcome to come along for all or part of the time and do what they can when they can. Please just let us know that you're interested in principle (email b4rncasterton@gmail.com) and we'll add you to the list. Whatever you'd like to help with, we're interested. Currently we're mostly engaged in tidying up areas where the initial build has left debris, badly disturbed ground, exposed orange duct and so on. Generally, either individuals or small teams work on simple tasks such as removing surface stones, burying exposed ducting, raking over rough surfaces, and repositioning displaced features. No technical skills are needed. So, if you feel you can help in any way, please let us know by emailing b4rncasterton@gmail.com. And don't forget the kids, or students who might be heading home for the holidays! With their eye on the future they're likely to appreciate what we're trying to do. THANKS! Thank you. Your hard work and dedication, and that of all the other volunteers, has given us broadband that will make a massive difference to living here and will allow us to work efficiently from home. B4RN has changed my view of the internet. To get my new service has taken more effort than I had ever imagined. People had to organise it all, get the materials, do the work and I would like to thank everyone involved. B4RN is great, I have finally got it! I've wanted it since I was nine, now I'm almost thirteen and it's happened. It is amazing. At first you don't see a difference but if you think about it you realise you're getting more than you need with other people also using it, such as my dad on Skype or doing his work. I used to have to get off the internet when he needed it but now I can download anything I want without disturbing him - it's perfect. Another thing that B4RN has done is reveal problems in the technology that our previous service could never do. We have two power line adapters that are supposed to give 1000Mbps but are only giving us 200Mbps, so we have a problem there. For two computers in our house we use Apple USB-to-Ethernet adapters and have only just found out that they have a limit of 100Mbps. As you can see, some equipment just can't keep up with B4RN and this is something to think about if any of your equipment appears not to be working properly. Working for IBM I need to be able to transfer very large files (up to a few GB each) when working from home. Until recently the service I used was 4G mobile broadband on EE, and while it was better than not having any internet at all, the reliability meant that often I would be partially through a file transfer when I'd lose the connection and have to restart, quite often having to do this many times before being successful. Of course all those failed connections were not only very frustrating but the cost involved was enormous. My first month on 4G landed me with a bill for over £300! There were even times when I had to give up trying to transfer a file and drive to Manchester to transfer the file directly onto my client's network. Having to drive 150 miles round trip to transfer a file because it's faster than using the internet feels all wrong in 2016! I have now had the B4RN service installed for a few days and the immediate and simple review is that its fabulous. However, being an IT performance specialist, I wanted to see exactly what the service could achieve and was surprised to find that in certain situations it was nowhere near providing the level of performance I was expecting. First of all I noticed that some of my locally connected equipment was only achieving download speeds of 200mb/s which of course is nowhere near the 1000 that I expected. A little bit of investigation, though, and I discovered that a crucial piece of interface equipment I was using was faulty and needed to be replaced. I would never have found that issue without having B4RN! In summary - B4RN really is fabulous, way better than any other internet connection I have ever had anywhere else in the world (I've lived in Australia, Japan, Hong Kong, and UK, as well as visited many others) and this is by far world's leading internet connectivity, even with the issues I have found. Pre B4RN we as a family used to enjoy the increased internet performance when we went away on holiday. Reflecting on the benefits of having B4RN after using the service for the past few months, it's completely seamless. The key for us as a family is that you just don't think about the Internet anymore, it just works, very fast, downloads, uploads, films etc etc. There is however one problem. When we now go away, whether this is work or on holiday and as we have businesses to run, we do require connectivity most of the time. Where we used to see the advantages of improved speed and service away from Casterton, this is no longer the case. Even though we do enjoy the time away from the computer and iPads, it's really so much easier when we are back at home. It made me wonder, as my family and I sat down one evening on holiday in rural Scotland with our iPads, trying to unsuccessfully connect to the 0.3Mbps service we had, can we now live in this society without this level of connectivity? I hope all our rural communities manage to have the help and support Casterton has had by the volunteers, truly a great team effort by all who put their time and effort into the project. Last week we were 'fused' and the promise of the previous10 months was instantly realised in all its B4RN digital glory. We tested our raw B4RN connection with two different Apple Macs: an iMac, and an Apple MacBook Pro connected to an Apple Thunderbolt Display. We attached the iMac directly to the B4RN router, and we attached the MacBook Pro via our hard-wired ethernet network & the Thunderbolt's ethernet adapter. Instantly and without any fiddling or tweaking, each Mac consistently operated [and continues to operate] at around 940 Mbps in each direction: upload and download speeds. Further, our Netgear switch (that allows an ethernet cable to be divided into a number of ethernet outlets) sprang into 'Gigabit mode' for the first time in it's life. Of course we have other pieces of kit /devices where we don't experience the full 'B4RN power' due to the limitations of those devices - e.g. the USB ethernet adapter from Apple limits connections to 100 Mbps; some of our Wi-Fi adapters are limiting us to 200 Mbps, but at the 'point of consumption' this is fine as we DO have to share B4RN's 1000Mbps across the family! Thanks to Richard, Marjorie and Duncan for driving this project through. What do we hope to achieve and why? 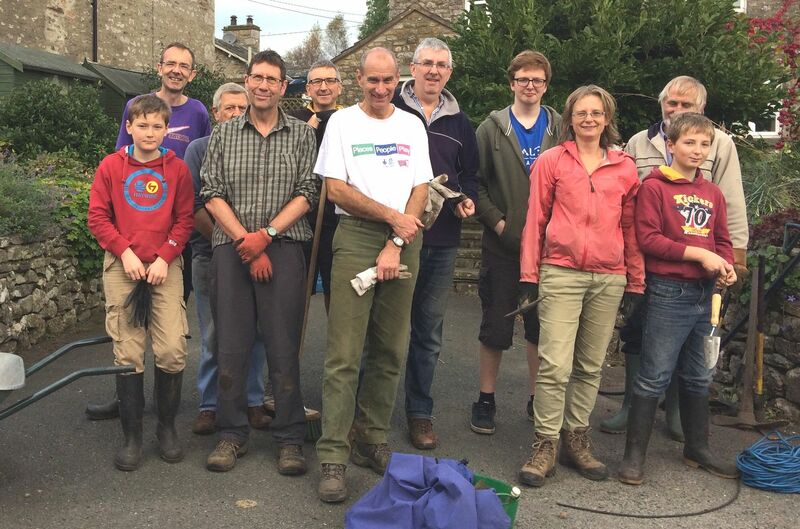 We are a team of volunteers from within the parish that has pulled together a working group to help get the amazing 1000MB/1GB B4RN Broadband service into Casterton. Our objective is to help the community implement the technology that will ensure we are no longer one of the technologically disadvantaged rural communities when it comes to broadband, but one that is leading the way. For us the aim is not profit margin, fame or renown, but to work as a community to benefit current and future generations of Casterton. Those with investment interests also have opportunities to undertake personal investment in B4RN while helping the community at the same time: any investments are between you and B4RN and not this group. Simply using resources from within the community to get the job done without costing more than the community can afford. On May 23rd. 2016 B4RN for Casterton became a formally constituted group with the original members of the Project Team comprising its initial membership and forming its management committee. The first decision taken by the committee was to continue being called The Project Team! The group's constitution can be downloaded here. This is B4RN - The Video! You might also like to subscribe to B4RN's own newsletter, “B4RNstormer”, to keep up to date with their news. No re-inventing the wheel! B4RN have an excellent FAQs and Resources pages where you can find answers to most questions. Now that the Casterton project has finished, information relating to local project procedures contained in any of the FAQS pages will no longer be relevant. The documents are retained for archival purposes. 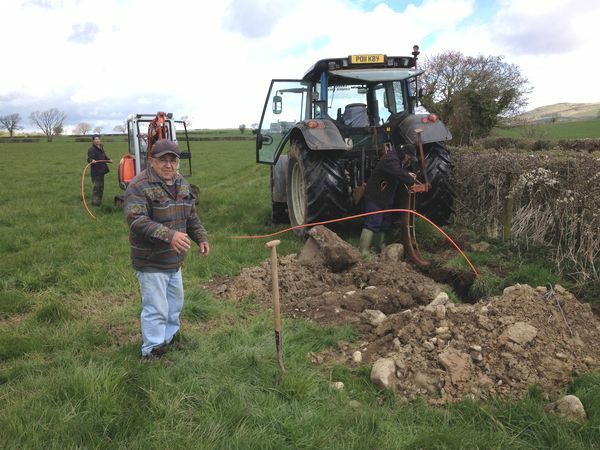 Anyone new to Casterton since the project ended who would like to be connected to the B4RN network should contact:- Broadband for the Rural North Ltd., Station Yard, Melling, via Carnforth, Lancashire, LA6 2QY (Tel: 01524 555887, Email: info@b4rn.org.uk). Just What is B4RN broadband? Some ad hoc documents of interest. These are pdf files to download (or view here). Although the project is finished we're happy to answer your questions. NB, this is a change of email address. As the project has concluded we have adopted an externally provided address to ensure continuity of contact further into the future. The Project Team has opted to withdraw from social media, so the links to Facebook and Twitter which used to be here have been removed. Copyright © 2016 - 2018 B4RN Casterton. / All rights reserved.